USC Faculty Member and Emeritus winner of the “Most Valuable Player” award by the National Academy of Recording Arts and Sciences, Pamela Goldsmith considers what it means to be a violist. We who chose the viola know that it was for the sound, the distinctive, beautiful, mellow quality that only a viola can produce. Most of us started on the violin, and soon learned that its often piercing, sometimes strident quality left us edgy and unsatisfied. Some of us tried other instruments as well, the piano, for example, and found its mechanistic response not human enough. In fact, the viola is our voice. The only voice we will ever need to express ourselves. The sound of the viola has been variously described as dark, woody, autumnal. Yes, it is all of these, and sometimes sorrowful, melancholy. But it can also be joyful, playful and lighthearted. A violist can express a multitude of emotions through the instrument: calm and repose as well as anxiety and excitement. Our range is wide, we can enjoy the higher tessaturas; but there is nothing as satisfying in this world as a resounding open C! The vibrations of the C string go right up through the jaw into the head, and the entire skull resonates with this note. It is at the moment when this note is being played that the violist experiences the most instantaneous knowledge of selfhood, of personal validation. A few years ago I played an outdoor chamber music concert, and just before the beginning of the concert, a bee flew into my viola. It was buzzing around inside. What to do? I grabbed the bow and played the loudest open C I could muster. In a few seconds, the buzzing stopped, and I shook the insect out of the body of the vila. The vibrations had stunned it into submission. Need I say more. A Violist knows the physical effort necessary to produce music. 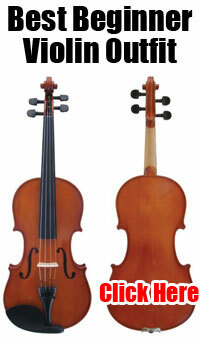 The instrument is bigger and heavier than the violin, and requires considerably more effort to play. (The last time I tried to play the violin, it seemed like a toy in my hands.) Violists know about fatigue, about sore fingers and tired muscles. A sports medicine consultant will tell you that repetitive motions are the most difficult for the human body to sustain, and the most injurious. Look at the viola part in any ensemble composition, what do you see? Repetitive Motions. Finger placement and stretching are more demanding than on the violin because of the greater distance between the notes. Applied bow pressure and weight are also more effortful, because the strings are thicker, and have more mass to set into vibration. These technical details we learn through experience, and are constantly seeking new and better ways to improve the physical performance of the music. What about the role of the violist in the musical kingdom? It is true that we seldom have a chance to be the star, but for most of us the supporting role feels right. We understand the responsibility of making the violinist and cellist look good in the chamber music ensemble by giving them the most support possible. When playing the accompanying musical figures, we know how to accommodate: when to play forte and when to hold back, when to push the tempo and when to hold steady. We listen! We know the inner parts and how, without them, there would be almost no music at all. In fact, violists usually know more about the complete symphony or musical work than anyone else. Being in the auditory and geographic middle of the ensemble, we listen to everyone, all the time. We are aware of all that is going on, not just our part. We are good musicians! Perhaps it is egotistical, but I have always felt that violists were among the most intelligent humans. Certainly we are among the most interesting. Violists are involved with all sorts of projects. Among my colleagues are pilots, realtors, politicians, artists, doctors, lawyers, microbiologists, and so forth. Of course, many of us are teachers. It seems part of the personality profile of the violist to be a teacher, to want to share the musical experience and to encourage others, particularly young people, to enjoy music and the viola in particular. Learning to play the viola is a lesson in self-reliance. Whatever comes out of the viola is ours: if it is bad, we must assume responsibility for it; if it is good, we can be warmed by the pleasure of accomplishment. No one can do it for us and no one can take away the personal pride of a performance well done. Perhaps the violist’s greatest attribute is commitment. We are committed to music and to the viola in particular. I will be listening to the radio or television and hear that distinctive tone. “Listen to that!” I exclaim. “Listen to the violas.” Isn’t it wonderful? How perfectly that special sound works in the musical situation. Over the years we constantly seek new repertoire, and ask composers to write something special for us. We discuss repertoire amongst ourselves all the time, and trade music. A new recording by a violist is an event. We share the experience of ‘what it means to be a violist’ with each other, and are supportive of one another. However, it is not always easy to be a violist—sometimes we take unnecessary harassment from others, and much of the time we are ignored and our importance goes unrecognized. But we love the viola fervently and can not imagine playing any other musical instrument. This is what it means to be a violist. Originally published in Viola Society Journal, VOl. 9, 2 & 3, Winter 1993, reprinted Los Angeles Times, June 20, 1993, Australian-New Zealand Viola Society Journal, Chicago Suzuki Newsletter, etc. Pamela Goldsmith was raised in Los Angeles and attended UCLA, Mannes College of Music, and Stanford University, where she received the degree Doctor of Musical Arts. Her principal teachers were Paul Doktor, William Kroll, and William Primrose. She taught at Stanford, California State Universities Los Angeles, Fullerton, and Northridge, and is presently on the faculty at the University of Southern California. Pam is an emeritus winner of the ‘Most Valuable Player’ award from the National Academy of Recording Arts and Sciences. Her viola playing has been heard on countless records, films, and television shows; she also plays the viola d’amore. She was both Vice President and Secretary of the American Viola Society. Her articles on the application of scholarly research to performance style have appeared in many journals. Keith was born very young and as soon as he could hold a crayon was off on a career in graphic design with a focus on low-wall embellishment. After several years of time-outs and lessons in interior home repainting, he struck out on his own to find his way as an artist: graphic, martial and performing, with brief careers as a professional juggler, vocal talent for broadcast, and eventually as the Art Director for Priority One Publishing and Melton Printing before joining The Master's Press. Keith is well-versed in just about all of the good graphics and layout applications for both PC and Macintosh, as well as a few of the really awful ones that all-too-often cross his desk. Keith holds a 3rd degree black-belt in Iwama-style Aikido, and is currently developing a martial art to counter Publisher and Word documents. This entry was posted in News and tagged Pamela Goldsmith, Viola, violist, what is a violist. Bookmark the permalink.